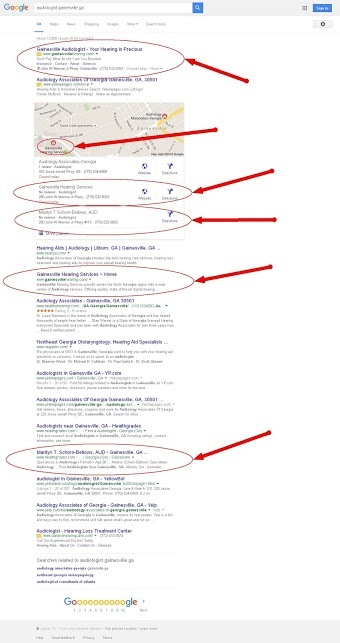 Audiology Practice Thrives from Google Traffic | SEO Services for Local, National and Global Businesses. This North Georgia Audiologist asks every new patient how they found the practice. What do 99% of them answer? On the web (Google). After signing on with Immersive SEO, not only were they on page one, they dominated – for years – never dropping with any of the often feared Google algorithm updates. Get started today with a FREE Website Evaluation with our digital strategy expert.